This J.H. 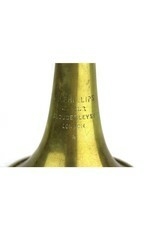 Phillips soprano trombone in Bb is an interesting instrument. 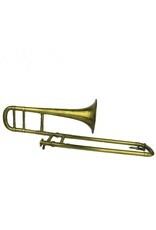 It takes a cornet mouthpiece (.360" receiver), and features a dual bore slide (.380"/.420"). 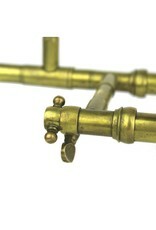 Overall the instrument is in good shape with acceptable action. 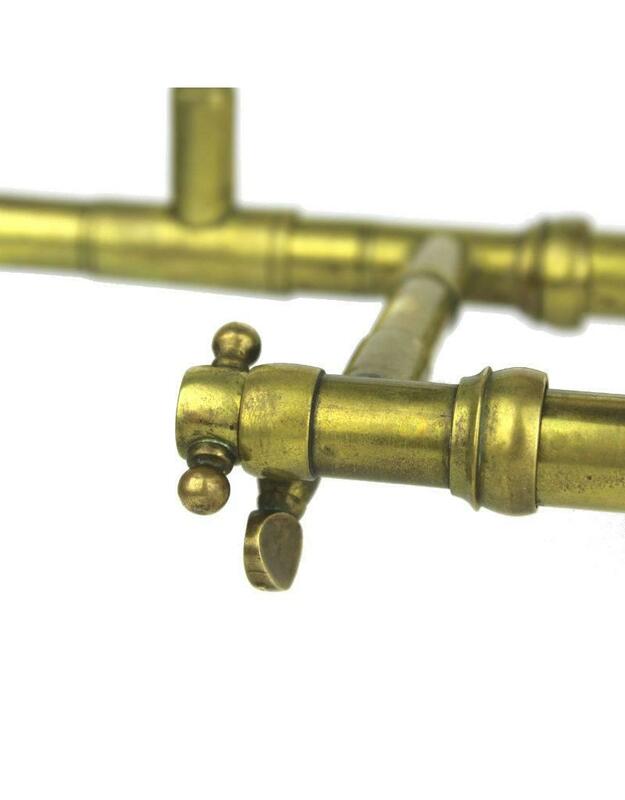 There is both a tuning slide and mouthpipe tuning. 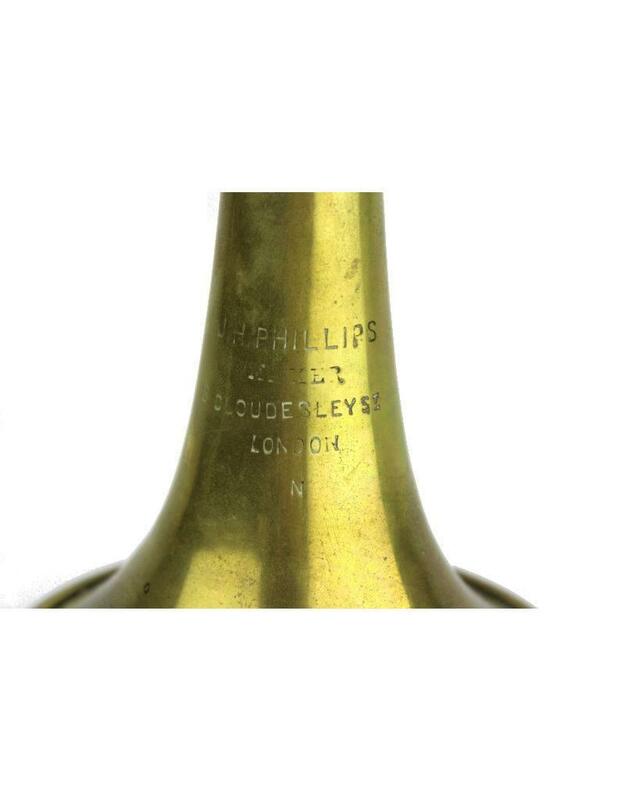 Phillips was a minor maker in London, only two instruments are known to survive bearing his mark, both soprano trombones. Neither instrument resembles any other known soprano trombone designs, but it is possible he incorporated parts of other instruments in creating these instruments.